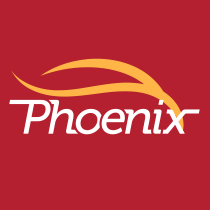 Philadelphia Flying Phoenix is one of the city's premier world class dragon boat clubs. With more than 150 members ranging in age from early 20s to over 75, the club practices on the Schuylkill River and works out together year-round. The team competes locally, nationally and internationally. Adobe Education Exchange connects the design education community through professional development, teaching resources, and peer-to-peer collaboration. Working with Adobe Illustrator to create the infographics and Adobe Spark to document and reflect on the process, this is a basic skills course about information hierarchy as a visual illustration of data. This is a link to my Adobe Spark Journal. Additionally, the course covered using grids, negative space, visual balance and color in this context. The assignment was to create an infographic based on informaton about Social Media usage. This is a link to my version of Assignment 1. The second infographic assignment was about children's environmental health and included a photographic background. I chose to include a graphic device framing each statistic rather than a representational vector icon. This is my version of Assignment 2.